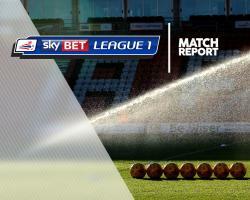 Southend piled the pressure on Sheffield United by cruising to a comfortable 3-0 victory at Bramall Lane. Phil Brown's side, previously without a win since beating the same opponents in March, wrapped-up the game by scoring twice during a devastating first-half spell following Jack O'Connell's own goal. Southend took a sixth-minute lead when O'Connell, one of eight new signings in Chris Wilder's squad, sliced Luke O'Neill's cross into his own net before Stephen McLaughlin and Simon Cox also pounced. The result was greeted by a chorus of boos from the home crowd whose team is still without a victory since appointing the former Northampton Town chief during the close season. United goalkeeper George Long was powerless to stop O'Neill's deflected sixth-minute cross but the youngster was involved in the mix-up with full-back Chris Hussey which allowed McLaughlin to slide home into an empty net eight minutes later. Worse was the follow for United when another O'Connell error presented Cox with the opportunity to extend Southend's lead after a quarter-of-an-hour.